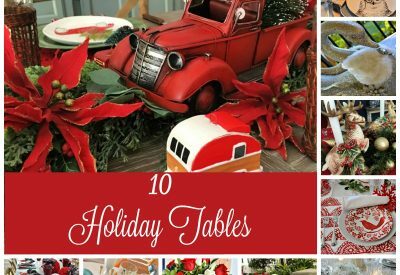 I see these Christmas centerpieces in the flower shops and garden centers and they look a little messy, like they were thrown together, and they want $50 or more for them. I knew I would be happier with one I make myself. 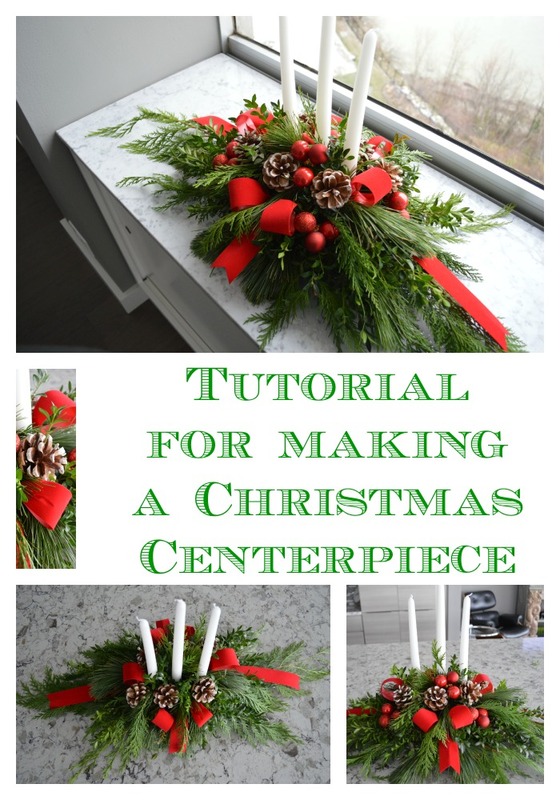 I will give you all of the steps to make your own Christmas evergreen centerpiece. First thing, I gathered all of my supplies together. Do you want some of these supplies delivered right to your door, click on the links in the list of supplies to order them from Amazon. 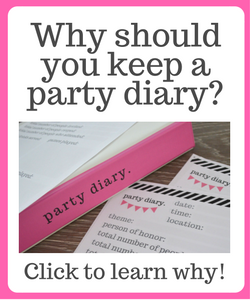 I used an inexpensive craft store container, because I knew it would not be seen. 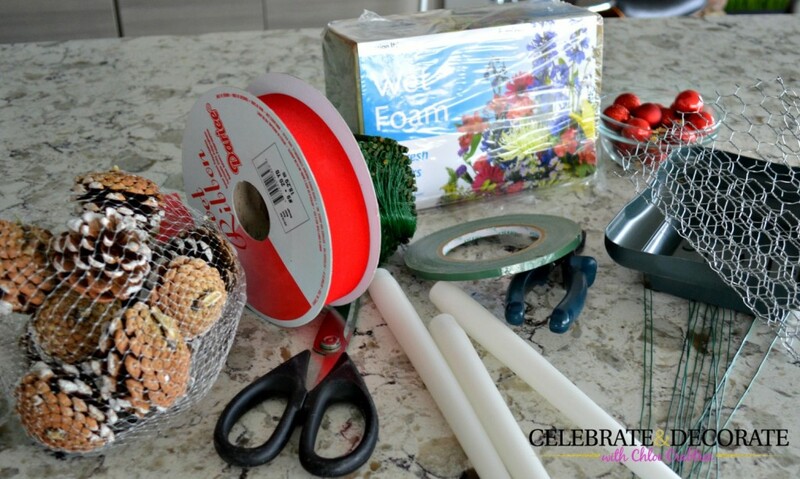 Soak your piece of floral foam until it is thoroughly saturated. Cut the piece of foam to fit in the container you have chosen. Cut a piece of chicken wire to fit over the top of the oasis and down over the edges. 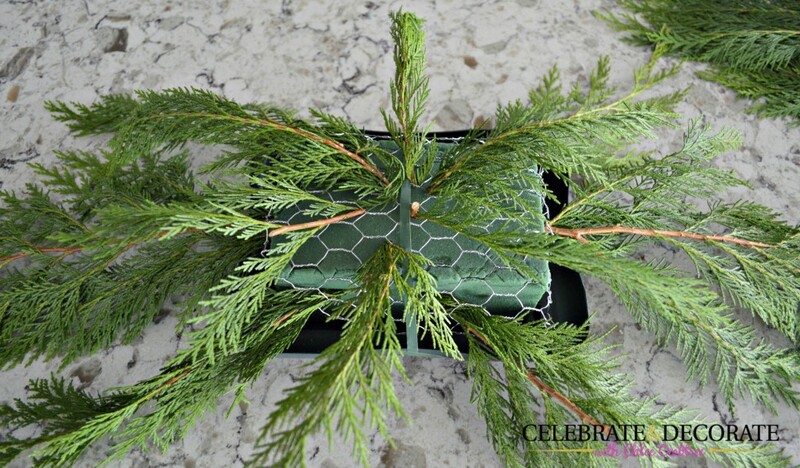 It is important to use chicken wire when you are making an arrangement with woody evergreens, as their large stems can break apart your floral foam without the chicken wire to keep it secure. Use floral anchor tape to secure the floral foam and the chicken wire in the container. If you would like you can run your tape all the way around your container, or you can just tape it down to the sides and then use a short piece of the tape to run perpendicular across the end of the tape to secure it as I did above. Begin by putting two equal lengths of cedar in each end of your arrangement, the length of these will determine the length of your centerpiece. 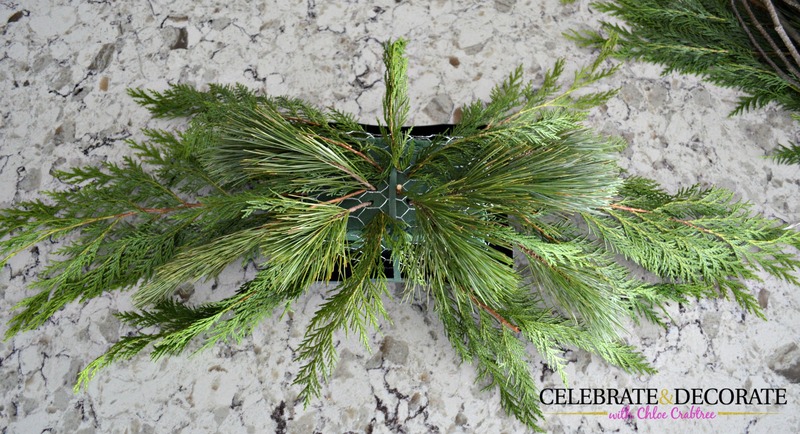 The next step is to add pieces of cedar at an angle from the sides to help support the shape of your oblong centerpiece as shown above. 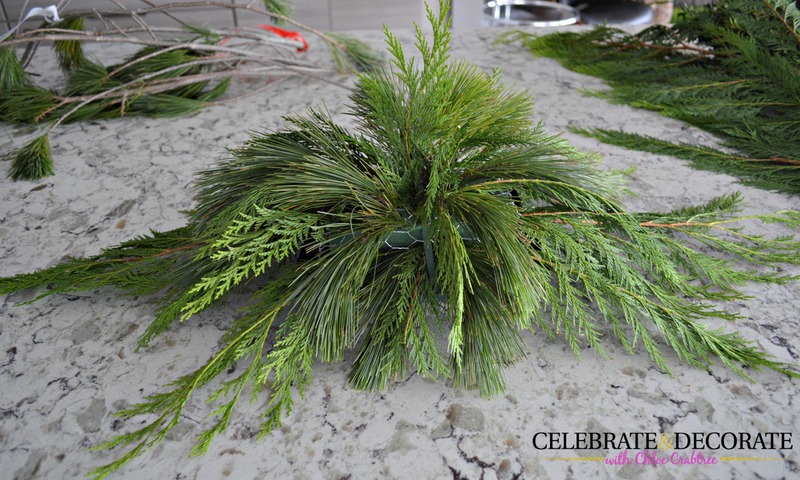 Continue adding cedar, now on the top of the floral foam placing the pieces between the ones you have already added, and moving up toward the top of your arrangement. Next you will begin adding the white pine. Place the pieces of white pine in between the pieces of cedar. In the above photo you can see the piece of cedar at the bottom right hand corner is not a tip, you can use pieces that you would have after you cut the tips off. Put a piece of white pine off of each corner and then 4 pieces out of the top toward each corner as seen above. Here is another picture taken from above to show another view of how to add the white pine tips between the cedar. 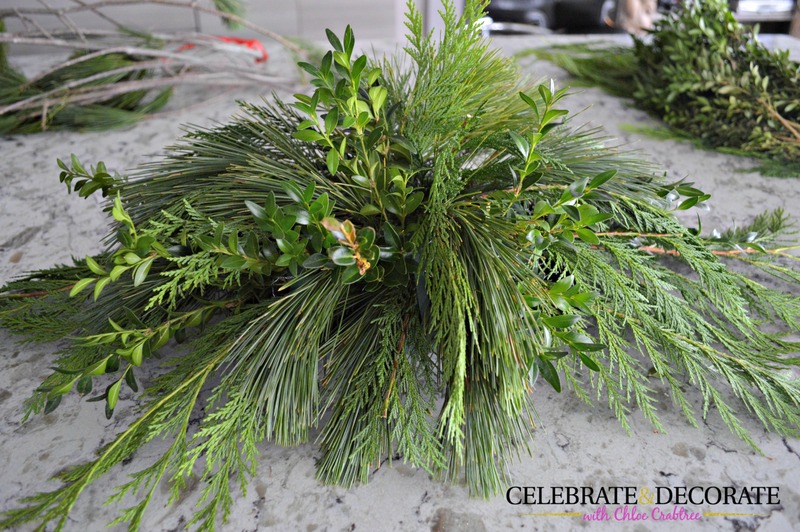 Continue filling in with cedar and white pine tips until your arrangement is looking full as this is in the photo above. It is now time to fill in all of the spots with boxwood. 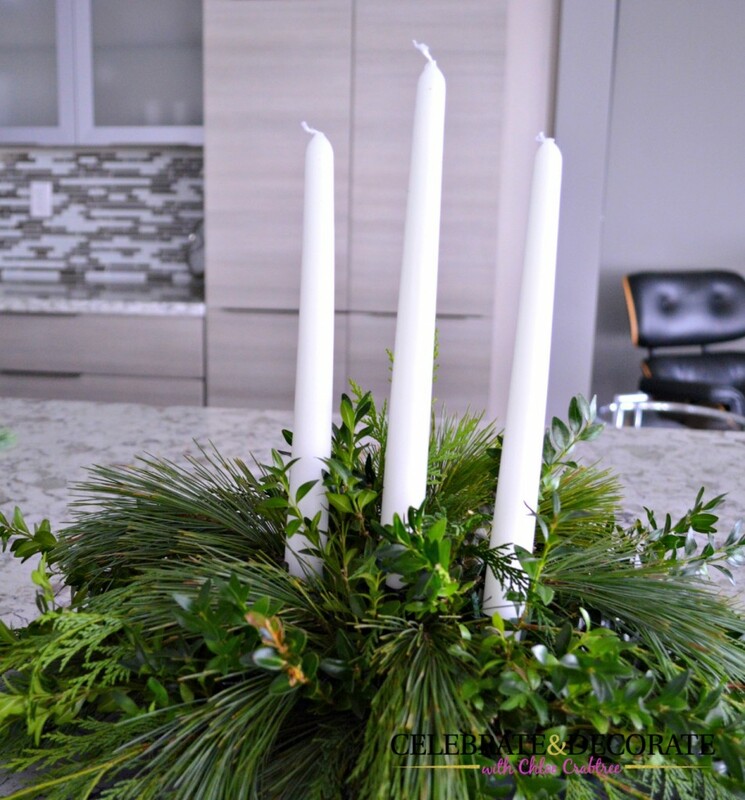 Cut the boxwood into 3″ to 6″ pieces and fill in the shape of the arrangement that you have already made with the longer greens. Your arrangement should be full and have no holes in it now. 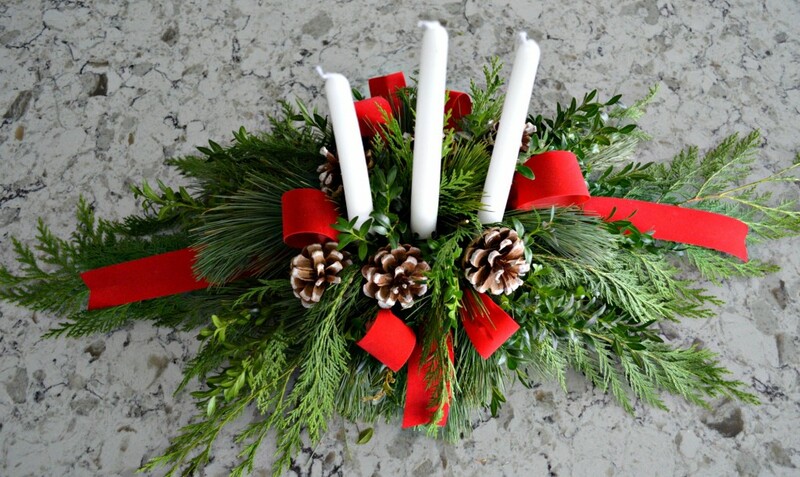 To add candles to your arrangement, put down a piece of anchor tape and set down three of the green wood sticks that you have cut the wires off of. 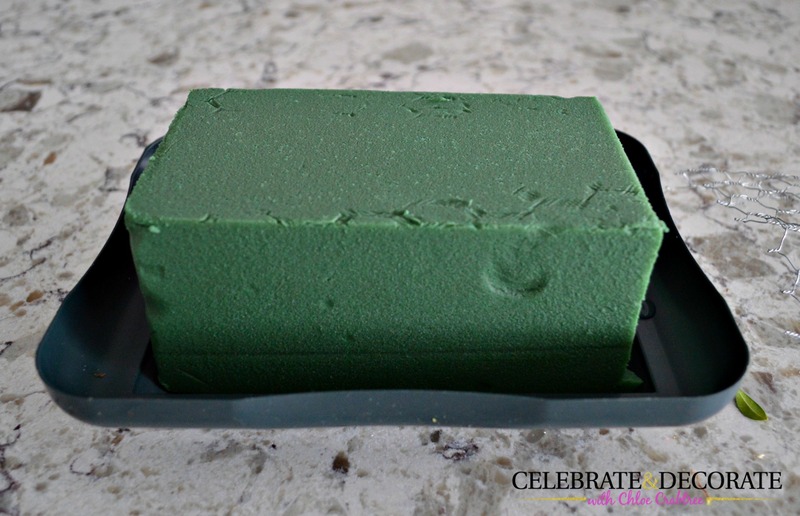 Tape the green sticks around the base of the candle and push it down into the floral foam. 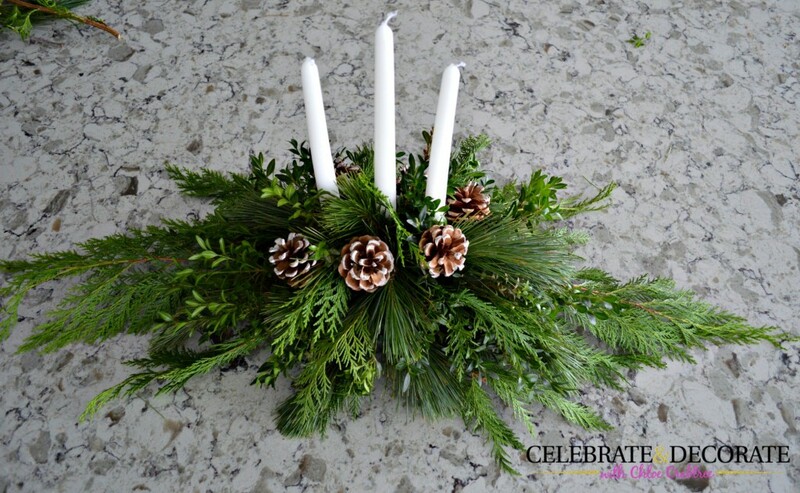 For this centerpiece I added three candles. 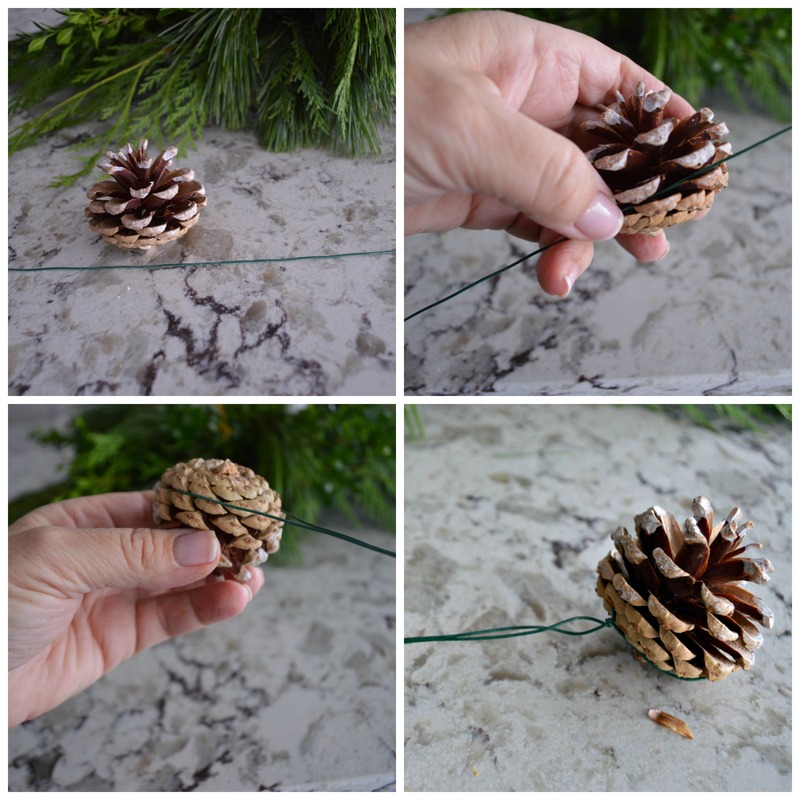 To add pine cones to your arrangement, use a stiff wire, bend it around the top of the pine cone and twist it so it becomes a single stiff wire you can push into the foam. I added three of these to each side of my arrangement near the candles. At this point, this arrangement looks pretty nice for Christmas, but we are going to make it look even better and add some more ornamentation. 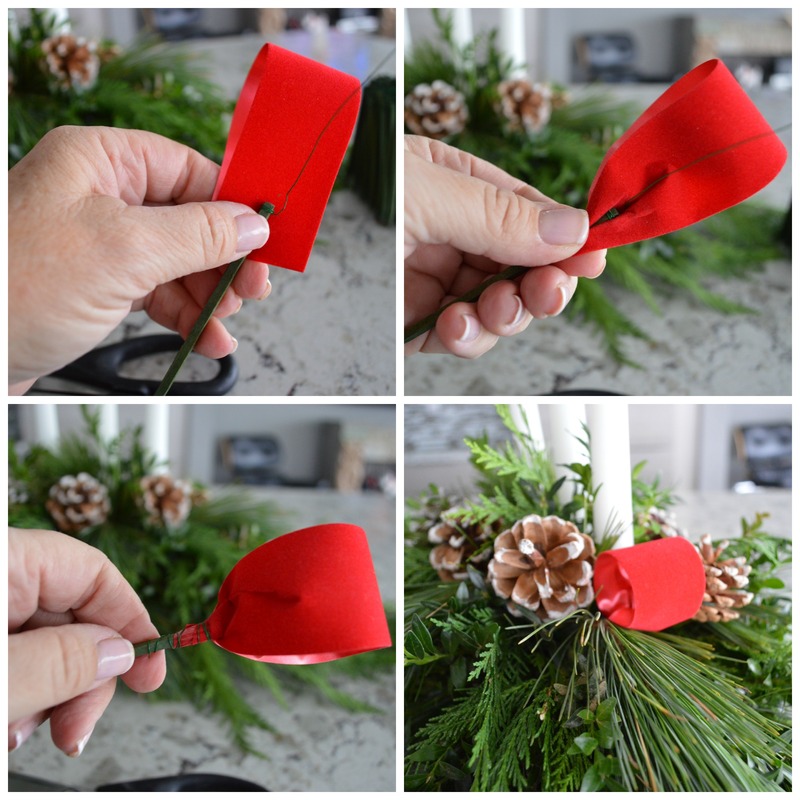 To make some ribbon loops for your arrangement, take a piece of ribbon and gather it onto the end of a wood wired stick. 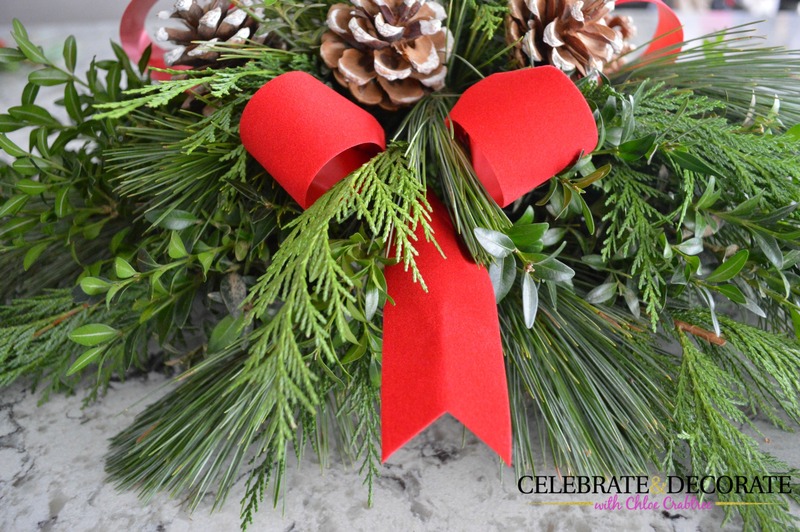 Wrap the wire tightly around the ribbon to secure it and add it to your arrangement. Be careful not to stick it in so deeply that the ribbon touches the floral foam or it will leach the water out of the foam. See how pretty the loops look when you add a tail to them. It almost looks like a bow is hiding in the greens of your arrangement. 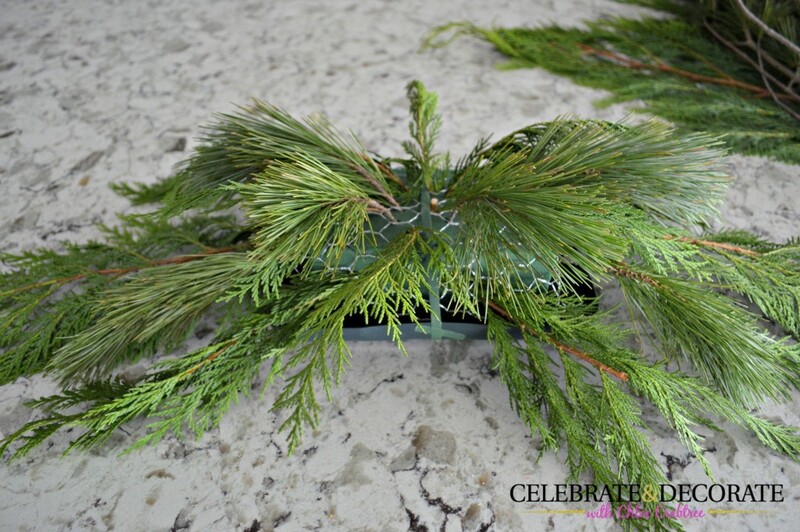 Here it is, your own DIY evergreen Christmas Centerpiece. Looking at it from above you can see how pretty the loops and tails make your arrangement look. You can add as few or as many loops and tails as you would like. 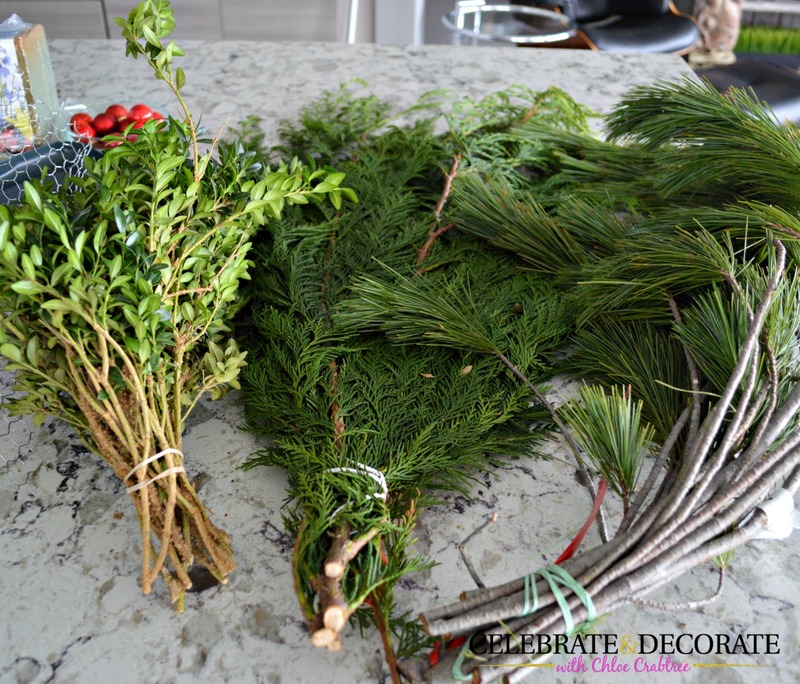 To add ornaments to your arrangement you will use those same wood wired sticks. I used clusters of three tiny ornaments. 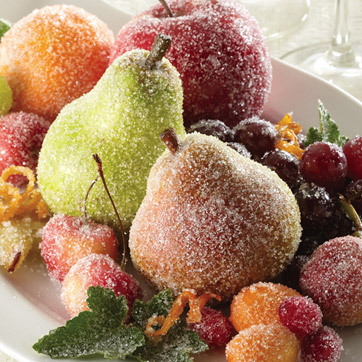 There you have it, a beautiful centerpiece for your Christmas table. If you keep this arrangement watered, you should be able to keep this and enjoy it throughout the holiday season. 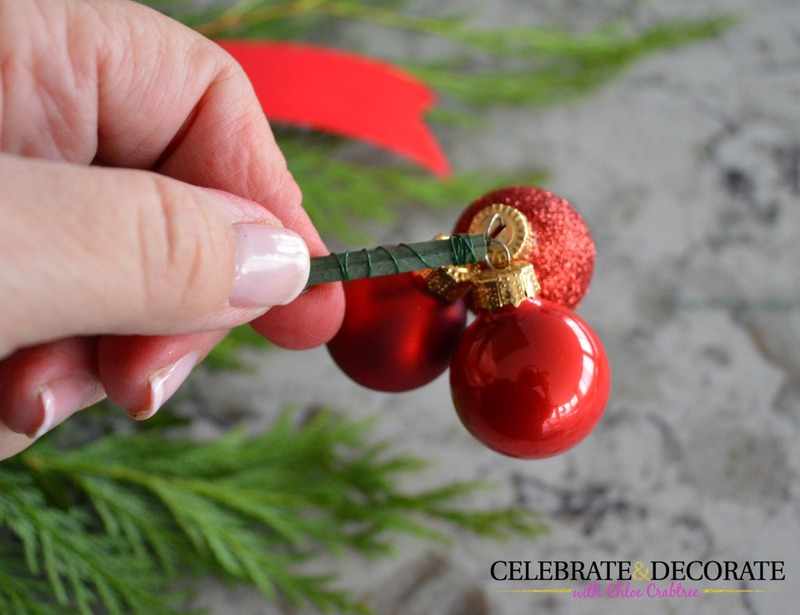 Should you want, you could switch out the pinecones or ornaments for different holiday picks. You could also add fresh flowers to an arrangement like this if you would prefer. I completed this entire arrangement for just $18! 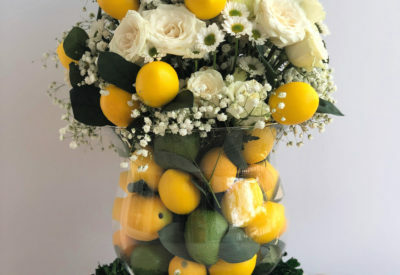 I could never have bought such a pretty arrangement for that money! WOW! I love this christmas decor! The chicken wire is amazing! what a great idea!! this is super! This is so beautiful Chloe and you are so good at this! Have you taken courses before? 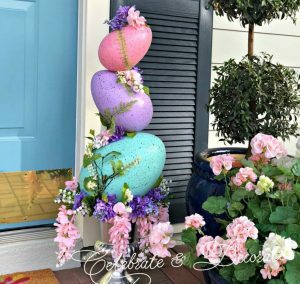 I am always happy to see one of your tutorials and I would love to tackle this project. 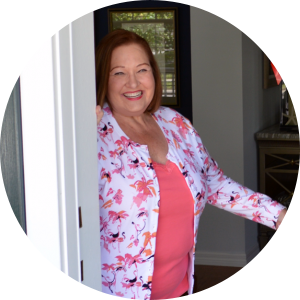 Oh, Sandra, my secret is out…when I got married, [back in the dark ages], my husband owned a flower shop and I learned on the job! Alas, that is like a hundred years ago! You learned very well and I bet this smelled amazing! Very pretty! Thank you for sharing the tutorial. Thank you for this tutorial. How do you recommend watering an arrangement like this? There is room at the base to add water, I just take mine to the sink, add the water under the greens directly into the container. I let it sit for a bit for the floral foam to absorb some of the water and then put it back where I am displaying it. If you are setting it on a wood surface I would always use a coaster or something else beneath it to protect the surface. If you keep it watered it can last for a month! Thank you DaLisa! I can’t wait to see what you do! 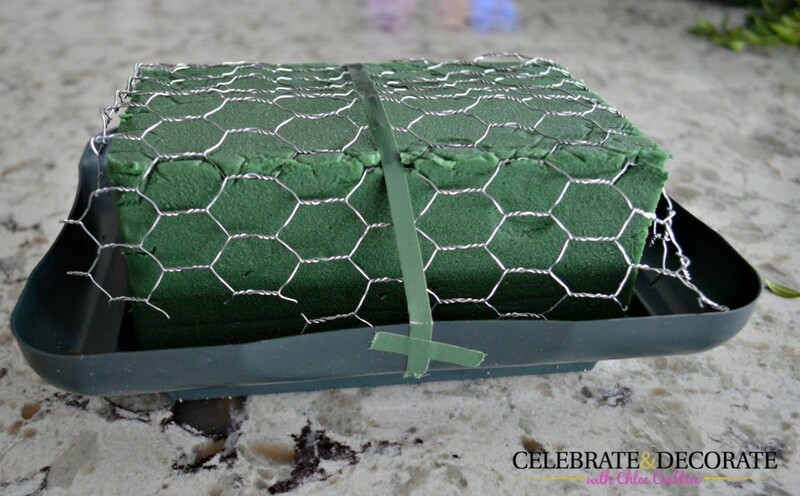 great tutorial Chloe, I need some chicken wire! 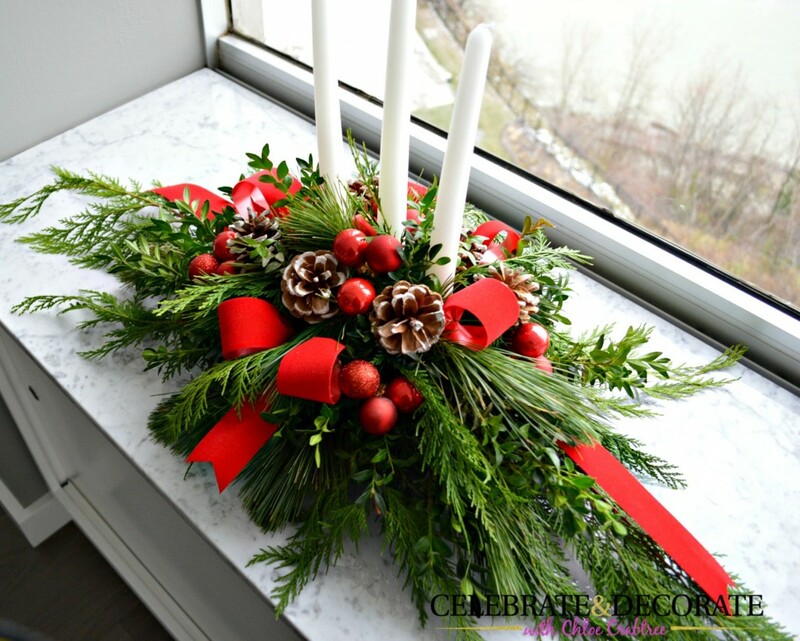 Another amazing floral arrangement Chloe…this would save me so much money during the Holidays. This is such a great tutorial. You’ve made it so clear and easy to follow. Thank you for sharing this because it’s exactly what I was looking for. Merry Christmas! Such an amazing project, the tutorial made it even easier to enjoy the piece. 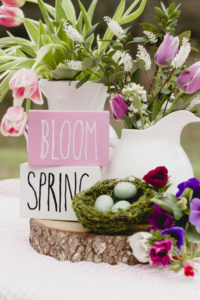 You were right about the presentation of those centerpieces, Years ago, I ordered one of those centerpieces and the cost was more than $50. I had it delivered to my best friend before Christmas. Not only did she received it late, it turned out to be a total disaster. There were no candles added to the centerpiece and the rest of the rest of it was falling apart. Although my friend was elated, she cautioned me about using the same vendor in the future. It has been a pleasure watching you at work like always.